CANENA Ambassador-at-Large Rafael Nava updated COPANT members on the latest CANENA news while attending the COPANT 2018 General Assembly Meeting (AGM). He reported that CANENA is approaching its first quarter century with 98 harmonized electrotechnical standards in its portfolio. 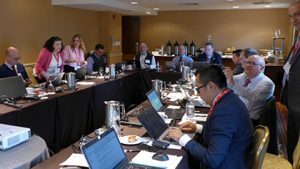 Regional harmonization of electrotechnical safety standards, undertaken in support of the North American Free Trade Agreement, has been accomplished. Mr. Nava reiterated that CANENA greatly values its close relationship with COPANT and is always open to exploring areas of cooperation. He concluded by stating that the CANENA Board of Directors has embraced a new vision and a new mission: international harmonization. COPANT promotes the development of standardization and conformity assessment within the Americas. Its members encompass 34 countries with active participation from Australia, China, France, Germany, Italy, Portugal, Spain, and South Africa. COPANT recently elected Ricardo Fragoso (CEO, ABNT) as President. He replaces Joe Bhatia (President and CEO, ANSI). At the 2018 CANENA AGM, CANENA’s Executive Committee approved several proposed amendments to its by-laws, perhaps none more significant than the clarification that THC/THSC/THWG meetings are closed. Attendees of THC/THSC/THWG meetings need to be CANENA members in good standing; Chairman may invite other technical experts as needed, but they are not considered members. Click here to view the by-laws. The CANENA Council is responsible for electing its President, Treasurer, and the country Members-at-large. The term of office spans two successive Council meetings. Officers may be re-elected for two successive terms, and each has indicated a willingness to stand for reelection. 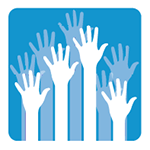 Nominations for President and Treasurer may be provided to General Secretary Joel Solis at joel_solis@nema.org. President: Julian Yarza completed the first year of his first term following the conclusion of the 2018 AGM. Treasurer: Leonard Letea completed the first year of his first term following the conclusion of the 2018 AGM. Canada: Donald Harris and Guy Benjamin completed the first years of their first terms, following the conclusion of the 2018 AGM. 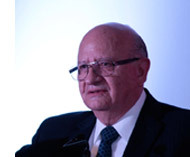 Mexico: Jesus Martin Ricardez Barbera completed the first year of his first term following the conclusion of the 2018 AGM. S.: Svetlana Ulemek’s (Pro-tem) nomination was presented to Council for approval at the 2018 AGM and approved, completing the first year of her first term. CANENA is a Section 501(c) (6) non-profit organization that supports the development of harmonized electrotechnical safety Standards between North American countries. Under the leadership of President Julian Yarza (formerly Hubbell de México), CANENA strives to keep membership dues low as well as to provide an opportunity for a greater number of CANENA projects to be supported through to their completion. CANENA needs the continued financial and in-kind support of its Members to continue serving as a model of regional cooperation in North America for electrotechnical standardization. Explore ways to support CANENA by visiting www.canena.org or emailing canena@nema.org. CANENA’s Registrar, Electro-Federation Canada, has updated the list of CANENA Members In Good-Standing. Click here to download the membership list or visit https://www.canena.org/join-canena/membership-roster. The organizing committee for the 2019 AGM has begun its work. 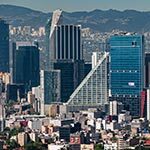 The 2019 AGM will be held in Mexico City in February. Additional details will be available soon.